Knauf Insulation and EcoBatt Insulation are cost-effective and energy-efficient thermal and acoustical products made from highly resilient, inorganic glass fibers bonded by a thermosetting resin. The products are available unfaced or with kraft, foil, or flame-rated FSK-25 (Foil-Scrim-Kraft) foil facings. 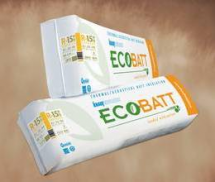 Knauf Insulation and EcoBatt Insulation serve as barriers for energy-efficient construction. 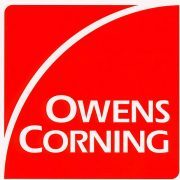 This insulation fiberglass has consistent quality, low dust, and clean-cutting resilient fibers making fabrication easy and installation fast. The products can be used in new and retrofit wood and metal frame applications in residential and commercial structures, as well as in manufactured housing applications. These applications include thermal and acoustical treatments to walls, ceilings, and floors. Additionally, High Density (HD) batts are available for locations where optimal thermal performance is required but space for insulation is limited. High Density Cathedral Ceiling Batts, for example, deliver greater R-value in less space, enabling builders to increase R-values while still maintaining adequate space for ventilation.